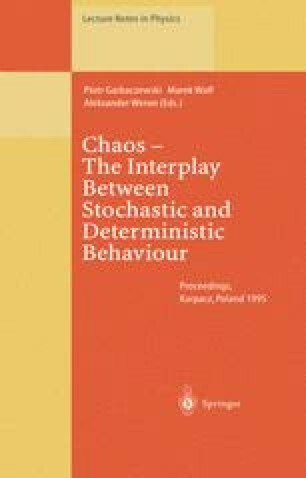 The quantum behavior of classically chaotic systems is dominated by coherence effects. Dynamical localization is the particular coherence effect associated with classical chaotic diffusion. This effect is considered for a system of laser-cooled two-level atoms subject to a standing wave laser field periodically modulated in time. If the field is only turned on during short periodic pulses, momentum is transferred from the field to the atoms only during short kicks and diffuses classically, but is dynamically localized quantally. Spontaneous emission from the two-level atoms perturbs the quantum coherence and resurrects the diffusion of the atomic momentum, albeit with a smaller diffusion constant. The theory of this effect based on a particular linear version of the stochastic Schrödinger equation is discussed.